During the festive period last year, the organisation – which has 8,000 members across the UK – fed more than 1,600 people, donated 336kg of food and donated over 100kg of clothes, and this year they want to top these figures. 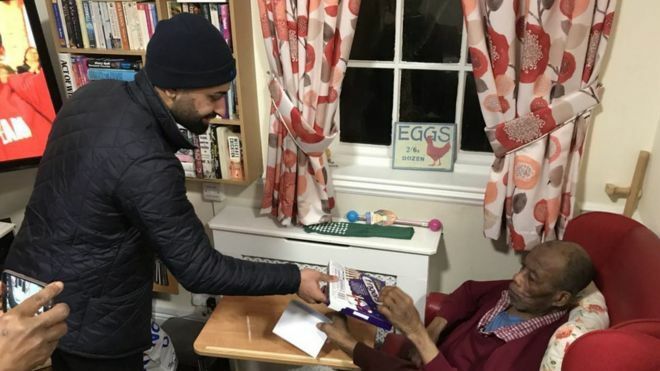 Usman Khan, who works with the group, said: “This campaign is particularly important to us as we feel that it offers our youth vital training and personal development, which helps to shape them into productive, conscientious and well integrated members of British society. 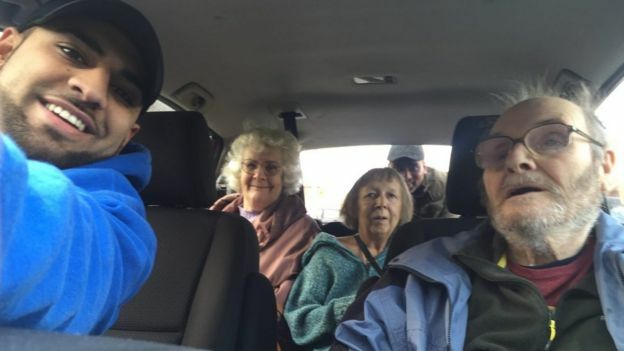 One of the group’s chapters is in Huddersfield, Yorkshire, and their contribution is a free taxi service for elderly people in the town on Christmas Day. Adam Walker, vice president of the association, said: “We started doing this around seven years ago and we have just grown to love it. “It started as the right thing to do, but our members are so taken with the people, they have built true relationships and now they really look forward to the meals. “That is what Islam teaches us… to go out there and help our neighbours,” he said. “We do it at our own expense, with money out of own pockets, to put a smile on their faces. 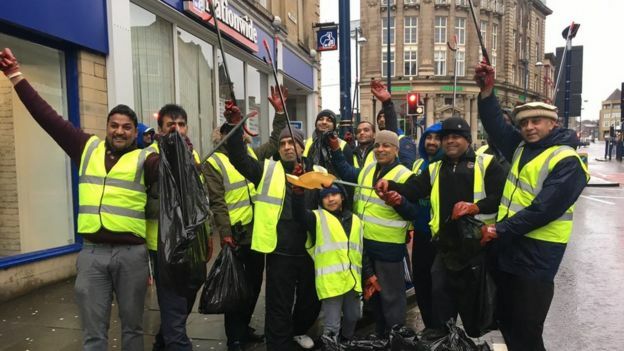 After Christmas is over, there is no rest for the group, as they prepare for New Year’s Day when 500 members across the country will head out after morning prayers with bin bags and brooms to clean up the streets after the night’s festivities. He said: “We do new year slightly differently, so we wake up quite fresh in the morning and without a hangover! But it is also about showing the public the “everyday lives” of the Muslim community. “Many people have a perception if Islam because of what some individuals do,” said Mr Ahmad.